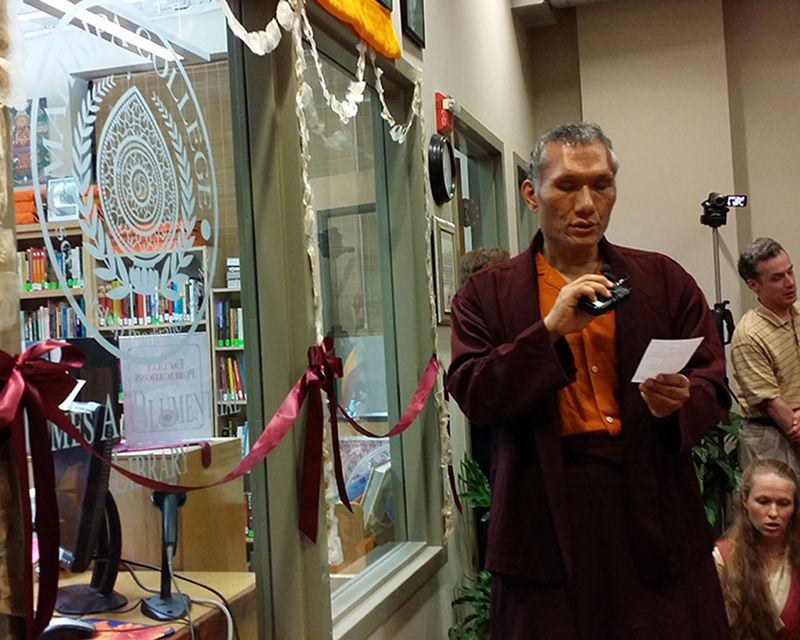 On October 8, 2015, Maitripa College welcomed our friends and community for a deeply significant project in our library’s history: The dedication of the Maitripa College Research Library as the James A. Blumenthal Library at Maitripa College. 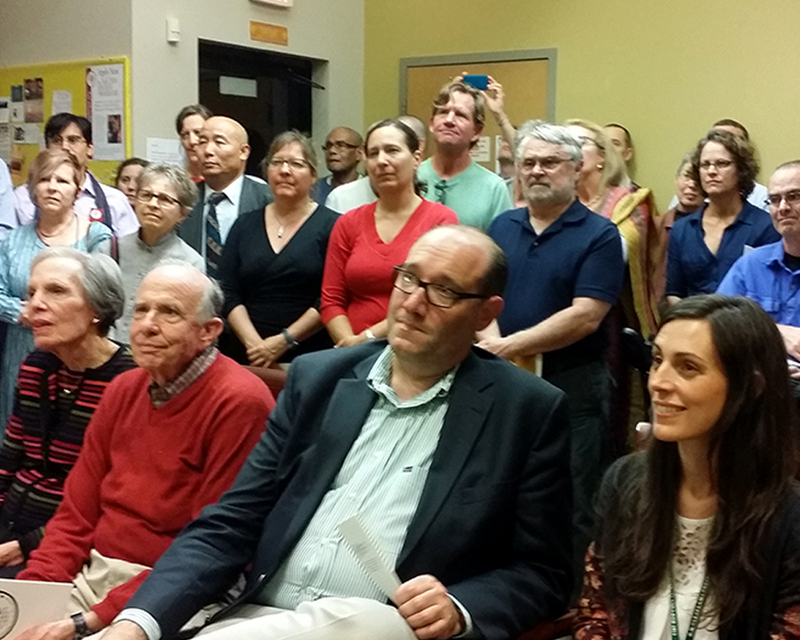 The dedication of the library honored our beloved former professor and friend, Dr. James A. Blumenthal (1967–2014), in commemoration of the anniversary of Jim’s passing, a year ago on this date. 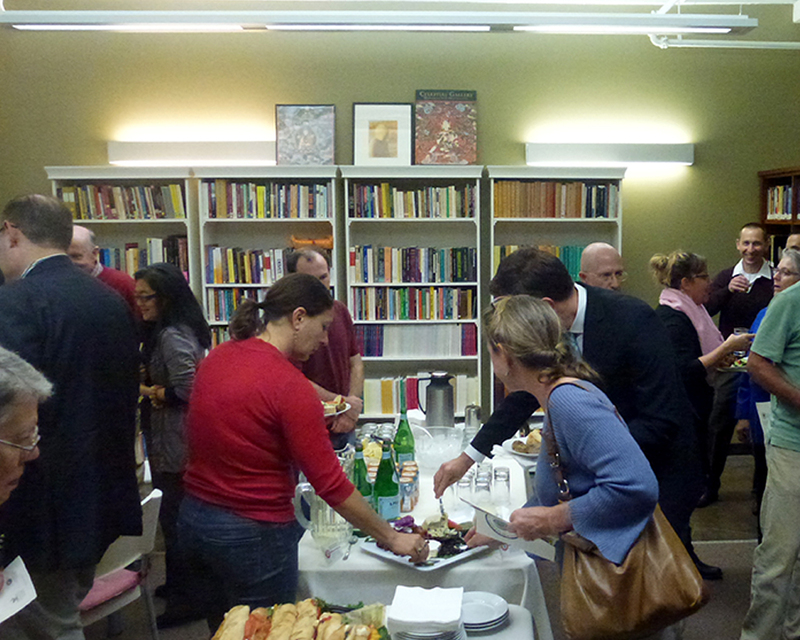 Thank you to all who attended in person or from afar with your good wishes and support! 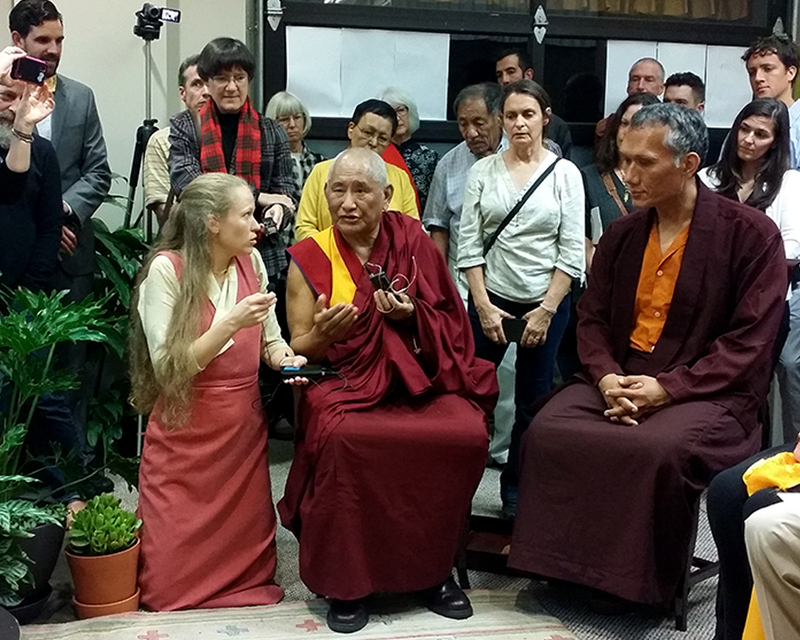 The dedication ceremony on October 8, 2015, was led by Maitripa College president Yangsi Rinpoche and attended by over 80 guests. 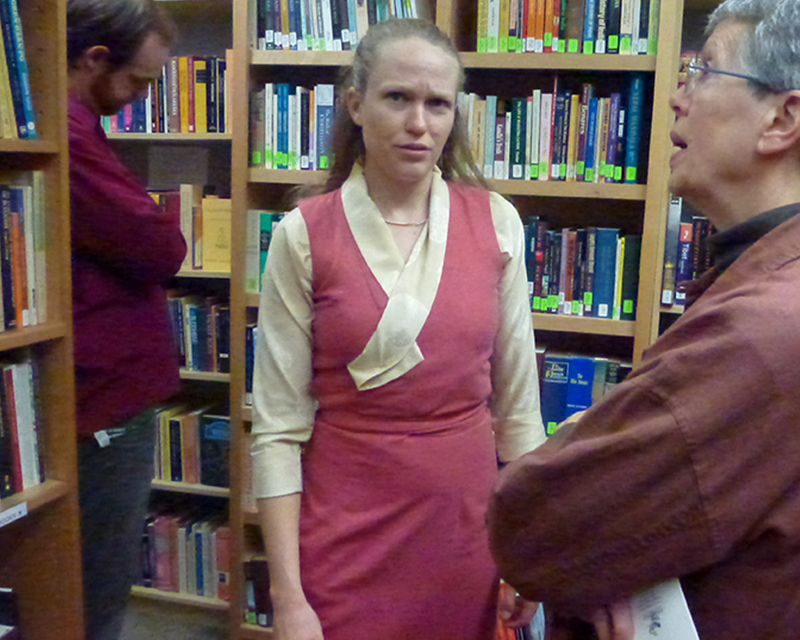 These included Geshe Tenzin Dorje from Deer Park Buddhist Center in Wisconsin, Jim’s parents and brother, his wife Tiffany, his son Ben and Ben’s mother Sara, family friends, and Maitripa College’s community, as well many of the volunteers who worked tirelessly to integrate Jim’s collection with Maitripa’s. 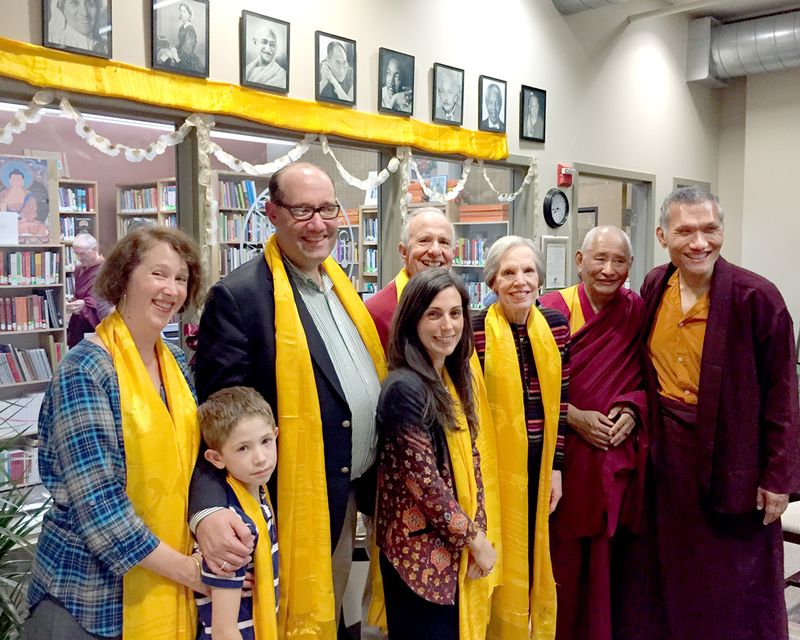 Yangsi Rinpoche, Geshe Tenzin Dorje and the family of Jim Blumenthal in front of the James A. Blumenthal Library, Maitripa College, Portland, Oregon, US, October 8, 2015. 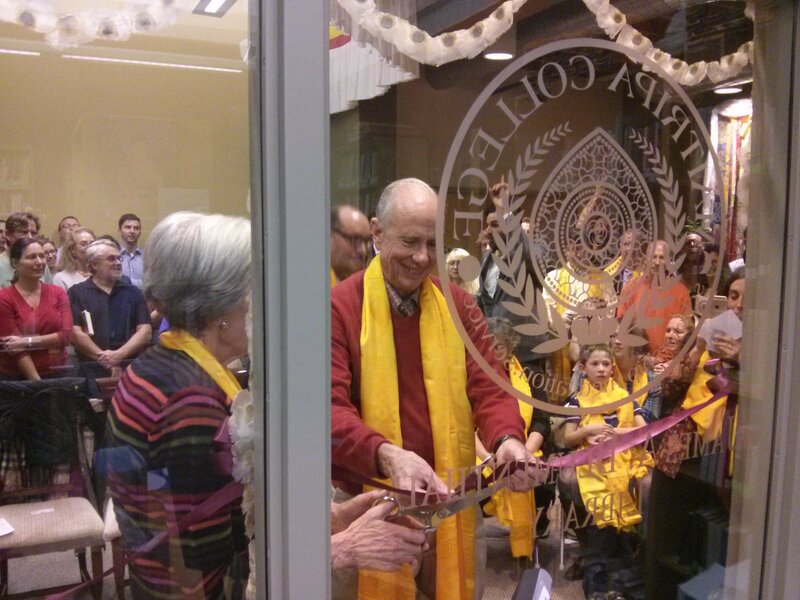 During the ceremony, Jim’s brother Tom thanked the Maitripa College community for its support to Jim and his family; Yangsi Rinpoche said the expanded library would ensure that Jim’s influence continued into the future by enhancing the development of scholars and practitioners; and Geshe Tenzin Dorje (translated by one-time Maitripa College student Katrina Brooks) talked about Jim’s karmic connection to Buddhism, his kindness, his meaningful life, and how these would contribute to a fortunate rebirth. 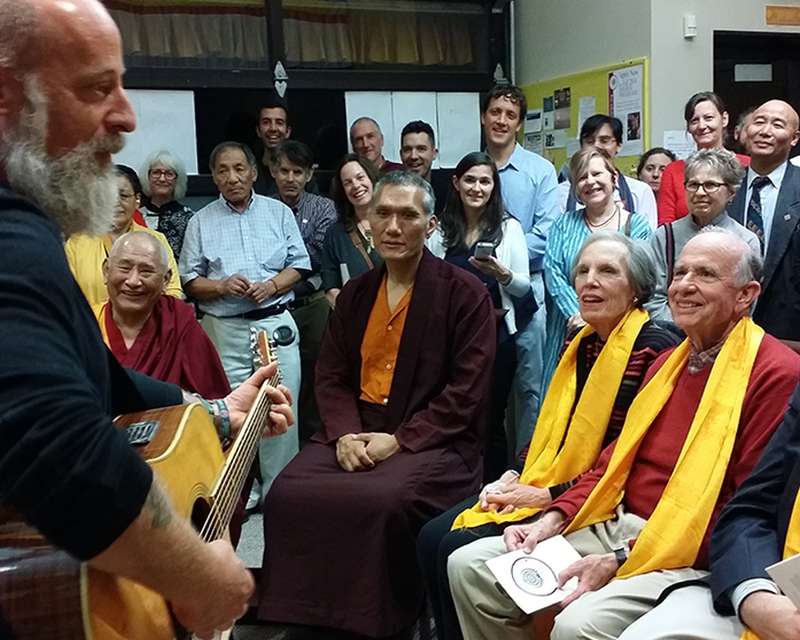 Jim’s good friend Jerry Joseph, a noted songwriter, performed a song he had written for Jim called “Craters of the Moon.” After prayers led by Yangsi Rinpoche, Jim’s parents Jack and Susan Blumenthal cut the ribbon to officially open the James A. Blumenthal Library. The dedication ceremony was follow by Vajrasattva tsog in the Jokhang (Meditation Hall) of the College. Enjoy the photos on the right and follow the links for more! 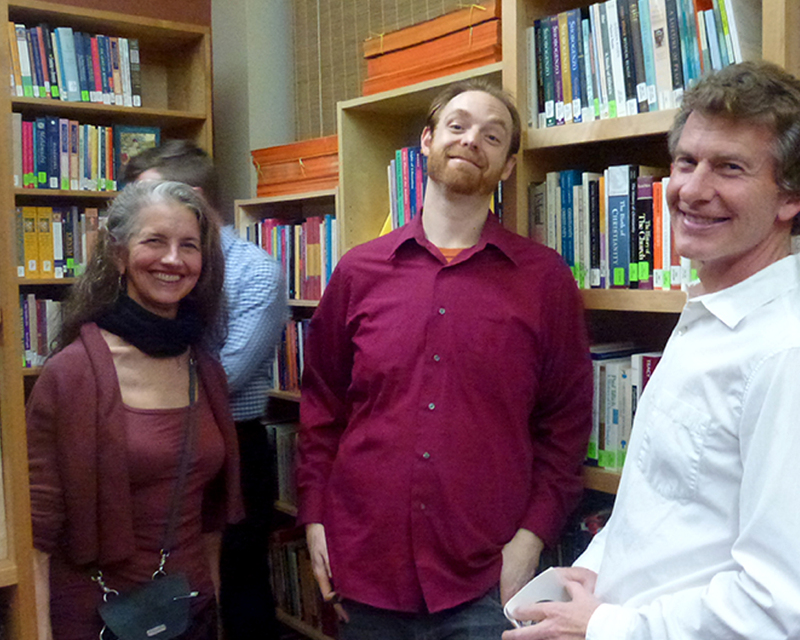 Jim’s spiritual family at Maitripa College was deeply moved by the gift from his family of his personal library. 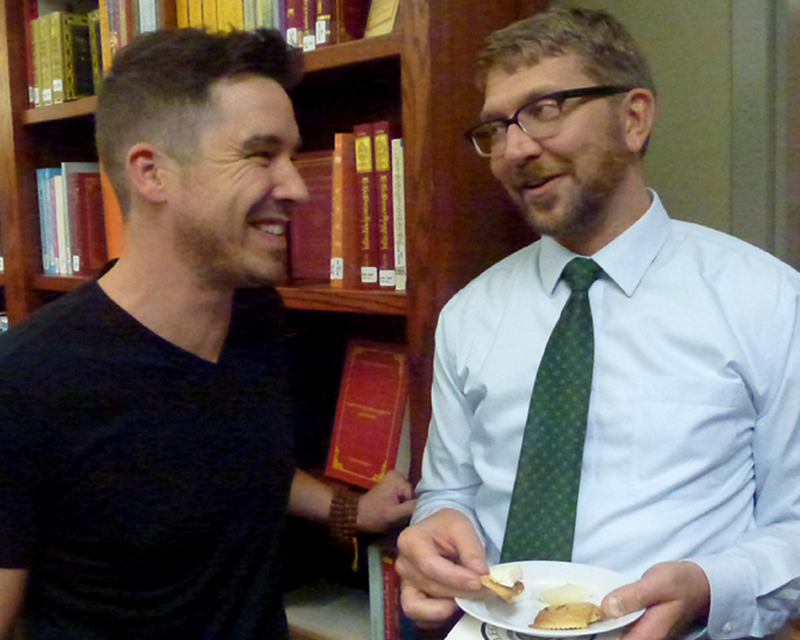 Jim was a top-notch Buddhist scholar, and his library reflects decades of collecting academic publications in the fields of Buddhist and Religious Studies, Buddhist texts, and his own scholarly papers. 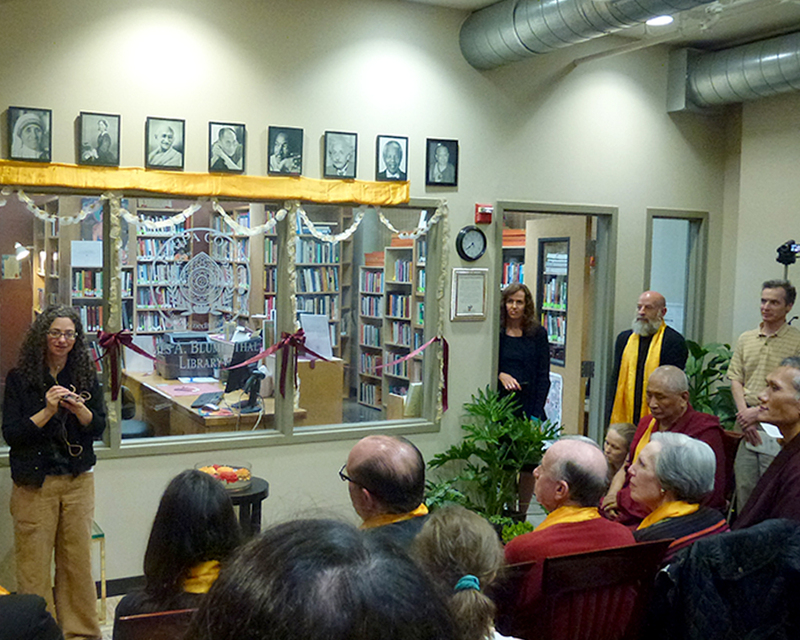 Yangsi Rinpoche expressed the wish to rename the Maitripa College Research Library to honor Jim’s contributions and legacy, and to also ensure the safe, protected storage of this precious collection and encourage accessibility of Jim’s collection by our students and library patrons. We feel these texts are so precious not only as a complete collection from a rigorous and accomplished scholar, but also somehow the materiality of a collection of books breathes life of those who have turned their pages before us, and who kindly leave for us, in the curated titles and beloved editions, imprints of their path which serve as guideposts for our own intellectual and contemplative explorations. 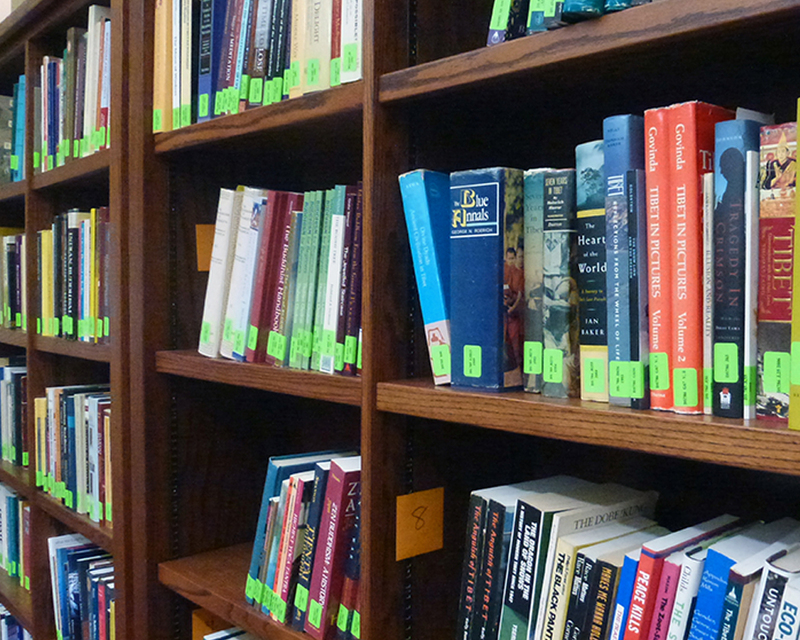 Now, thanks to hundreds of hours of volunteer service, Professor James A. Blumenthal’s collection is housed within our permanent collection, labeled with custom bookplates and spine labels, on locally commissioned craft custom shelves. Please come enjoy a visit! 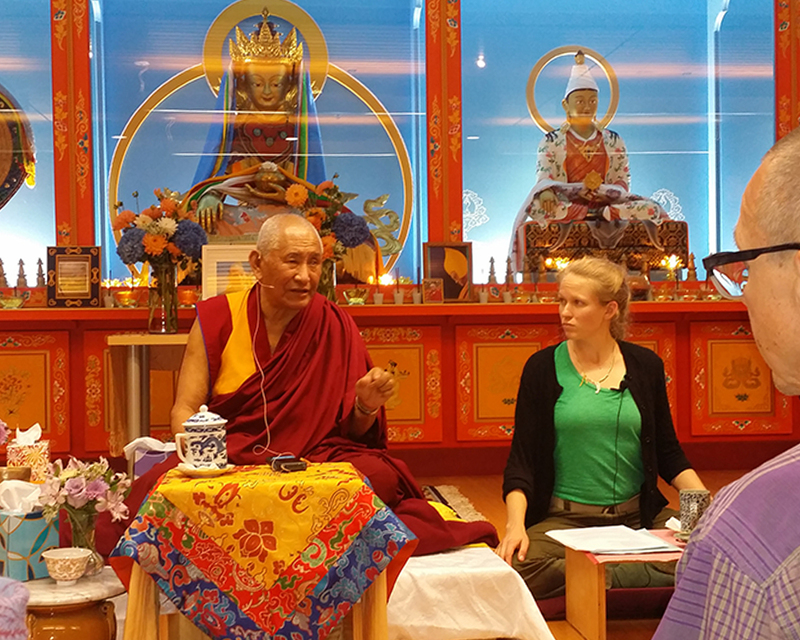 The founding of the James A Blumenthal Library at Maitripa College launches a strategic development project that will meet requirements for accreditation by supporting our expanding curricula, degree students learning, and faculty teaching. This addition to our permanent collection brings our library holdings to well over 5,000 titles. In addition to the print catalog, we will be expanding our digital collections, information resources, and library services. 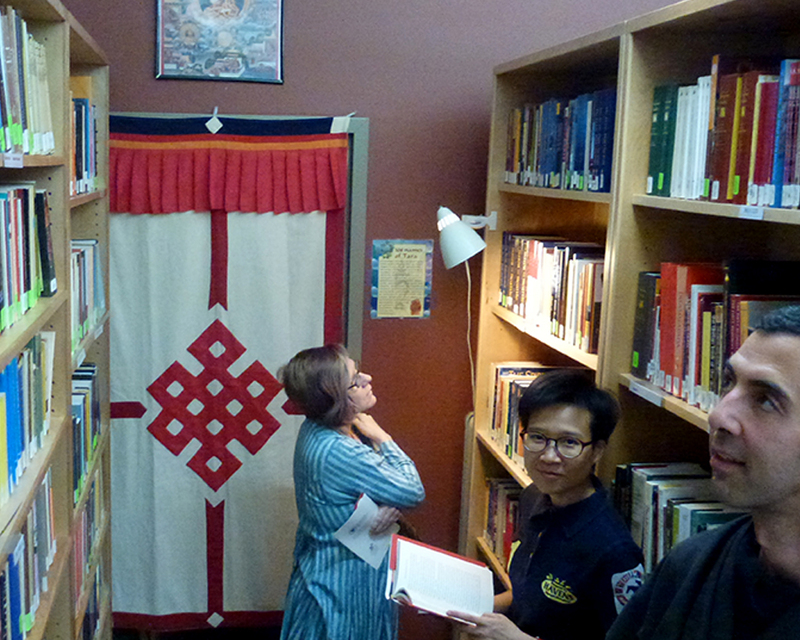 The library aspires to serve graduate students and the community as one of the only Buddhist colleges in the world by inspiring a love of traditional and contemporary Buddhist texts, and supporting Maitripa College’s mission to secure academic standing as an accredited university. 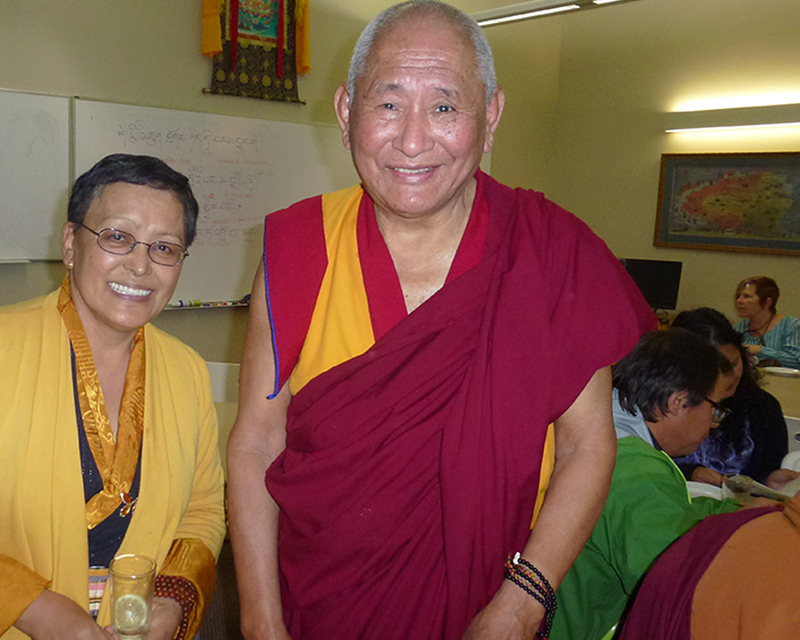 The creation of the James A. Blumenthal Library at Maitripa College is an inspiring and large leap toward this goal. 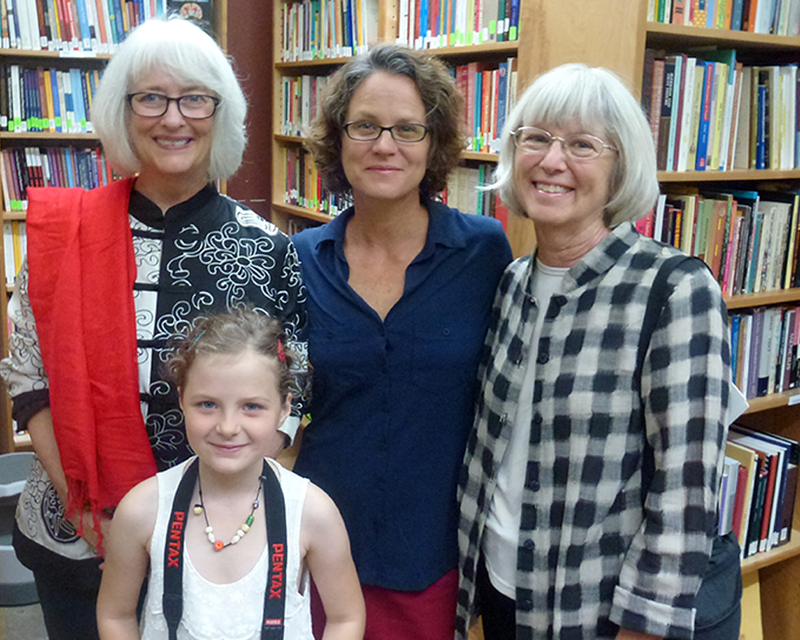 To offer your support of the library, please click here. 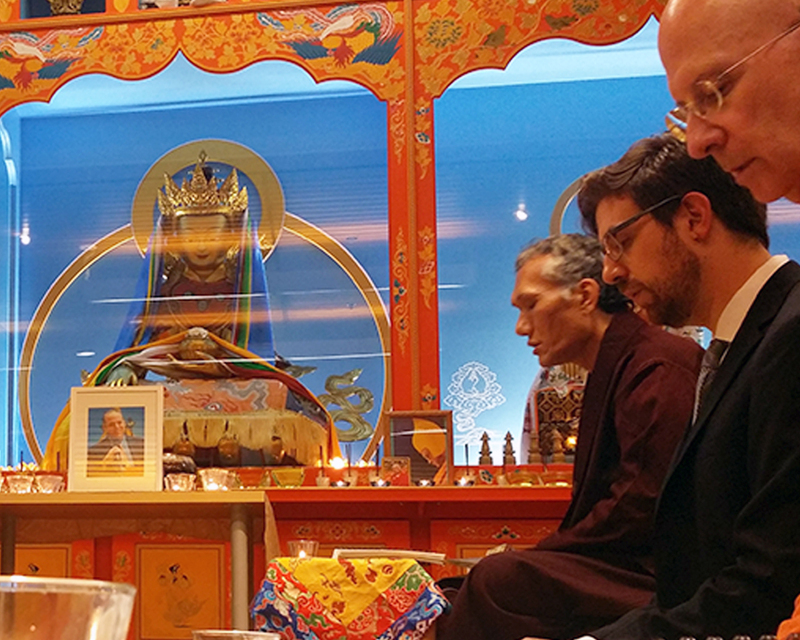 To read about Professor Jim Blumenthal’s life, scholarly works, and contributions to Maitripa College, please see James A. Blumenthal’s faculty page here. 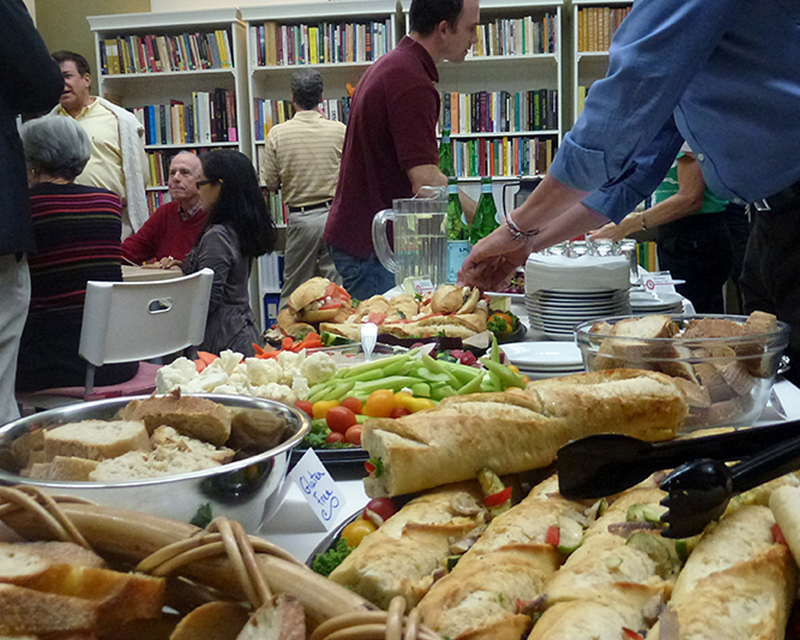 To support the James A. Blumenthal Library, become a Friend of the Library, or get involved, please visit the webpage of the Friends of the James A. Blumenthal Library here. To learn about the collection and information resources available through the James A. Blumenthal Library, please visit the main library page here. 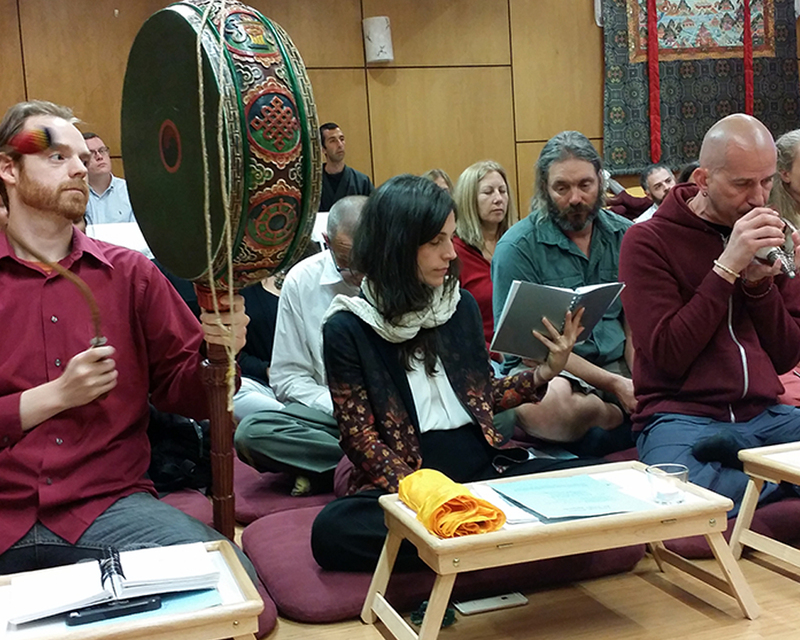 For more on the opening dedication written by Maitripa College student Donna L. Brown (including the lyrics to the song written and performed by Jerry Joseph) please visit the FPMT Mandala Blog here.